The impression of videos is great on the minds of consumers, it is said. Thus video marketing is considered an important part of digital marketing. Video advertising conveys the strong message and is very effective in building brand identity. Video advertising, however, is not always successful. There could be many reasons for this, including the low quality of the content. Most times, the main reason for unsuccessful video campaigning is because the right customer is not targeted. Big Data can be used to avoid all these issues in digital marketing. 1. Big Data analytics help to know what triggers a purchase. Customers’ behavior can be observed with Big Data analysis. 2. 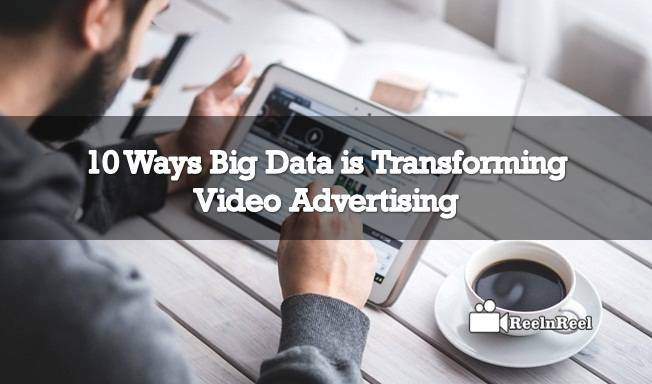 How do Big Data changes video marketing strategy? With Big data analytics, it becomes easier to target specific customers. 3. Big Data gives the marker customer over their video marketing. By observing the customer behavior it becomes easy for them to make personalized videos that will influence them and take the decision on buying the product or service. 5. Customer locations, contact information, and insights of the customers are delivered by big data which helps in identifying potential customers. 6. Social media data helps to make personal interaction with customers to generate leads. 7. With Big Data analytics, we can know what influences the loyalty of the customers. 8. Big Data analytics reused by video marketing developers to improve their content. 9. Social media data analysis helps to observe the comments, shares, and likes of customers and based on them more appealing video marketing campaigns can be created. 10. Localized mobile advertising also helps engage customers and increase conversion rates. Social data and location data analytics help in this.